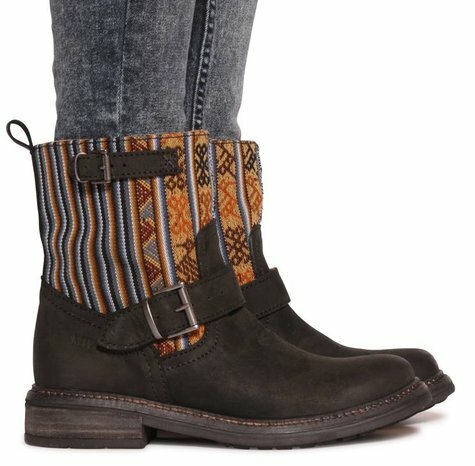 The ‘Rancho’ is a unique design and handmade biker boot. 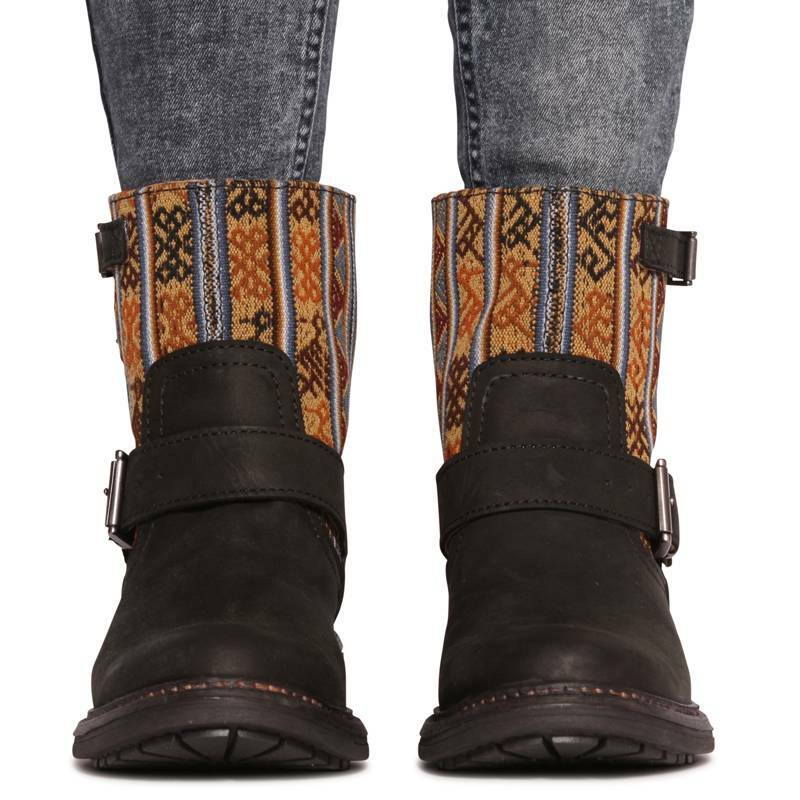 The boots are made by Portuguese craftsmen, using the the typical Peruvian MIPACHA textiles in combination with premium quality nubuck leather. The ‘Rancho’ has a smooth leather lining and padded insole providing comfort. 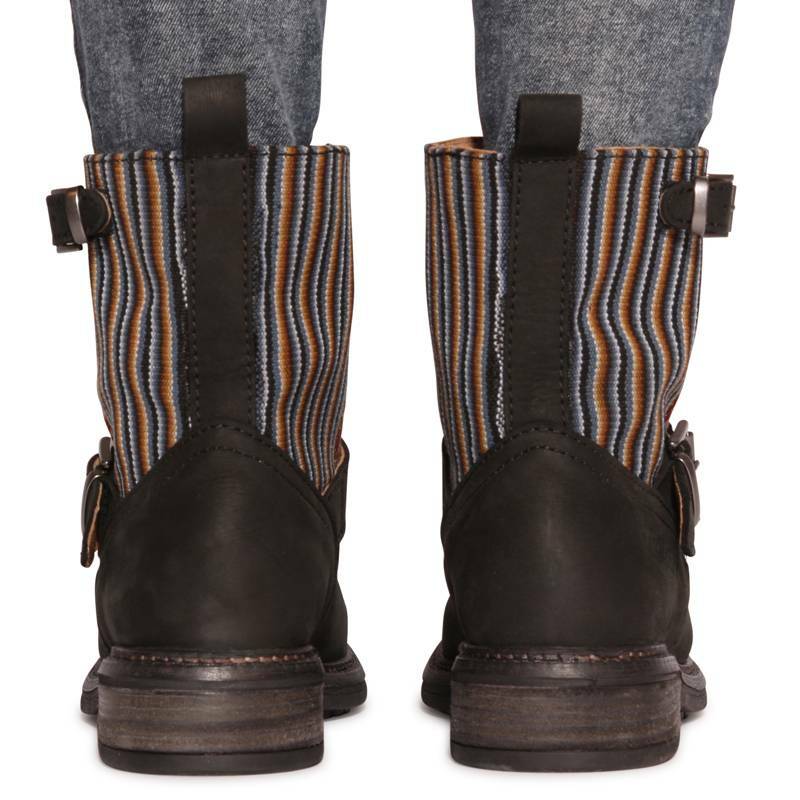 The rubber profiled outsole gives you great traction and weather resistance.